Rabbi Broitman began her tenure as Rabbi of the Martha’s Vineyard Hebrew Center in 2003. 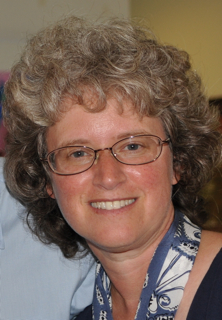 Some of her interests include: religion and literature, interfaith and multi-faith dialogue, and faith-based approaches to issues of justice and human rights.Rabbi Broitman's vision for the Hebrew Center is to be a community of Jewish learning, spiritual growth, community connection and social responsibility for issues both locally and globally. On her free time Rabbi Caryn loves to spend time with her family; read literature and poetry; cook (and eat) Middle Eastern Food; and walk, bike and Kayak around our beautiful Island. The Rabbi's regular office hours for individual appointments are Wednesdays and Thursdays. Other times are also available for those who work during this time. Please call Max at the office to set up an appointment [508-693-0745].